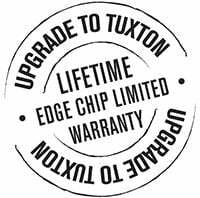 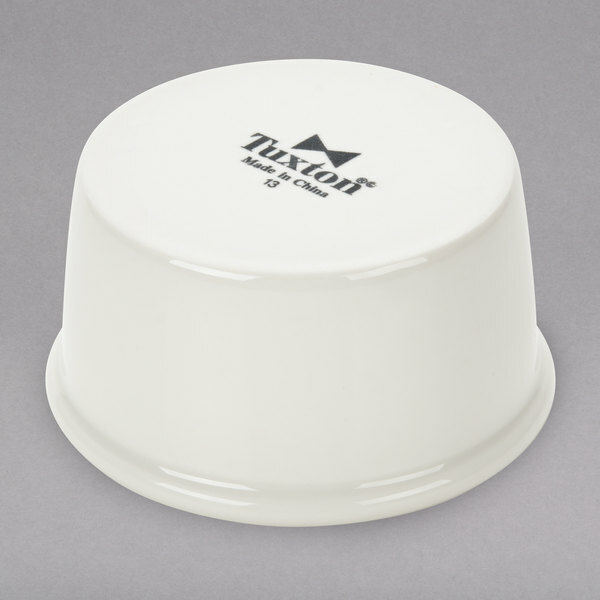 Add a classic touch to your side service with this Tuxton BEX-050 DuraTux american white (ivory/eggshell) smooth china ramekin. 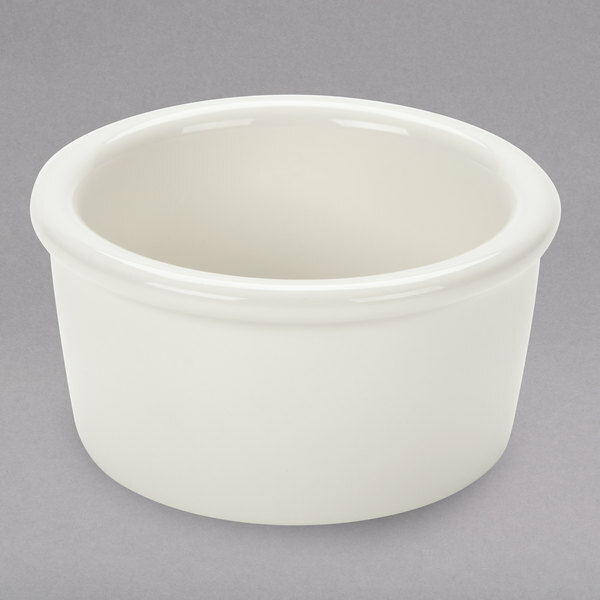 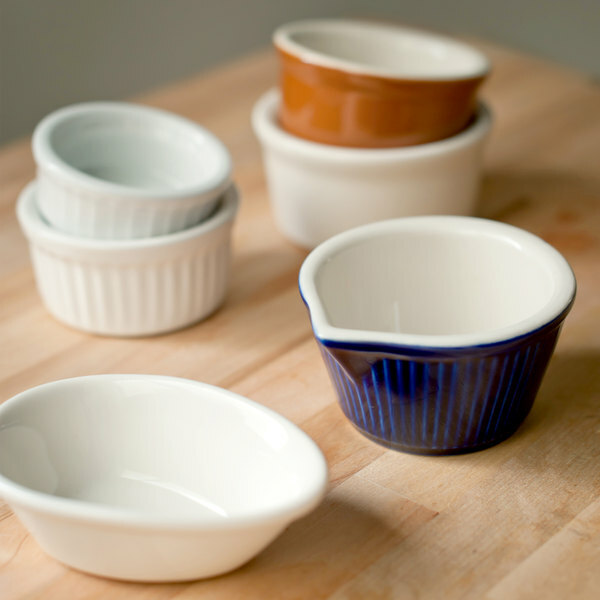 Featuring a creamy white coloring and fully vitrified china to prevent moisture absorption, this ramekin is guaranteed to blend in with most decor while offering the durability and safety you need in your commercial setting. 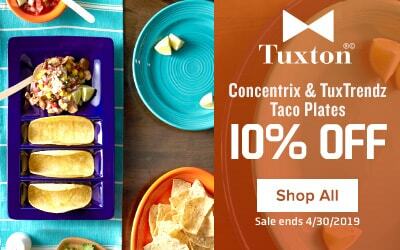 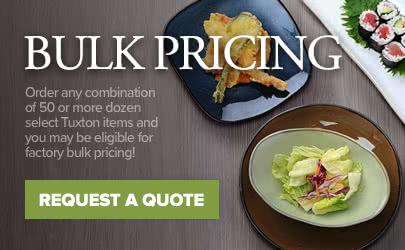 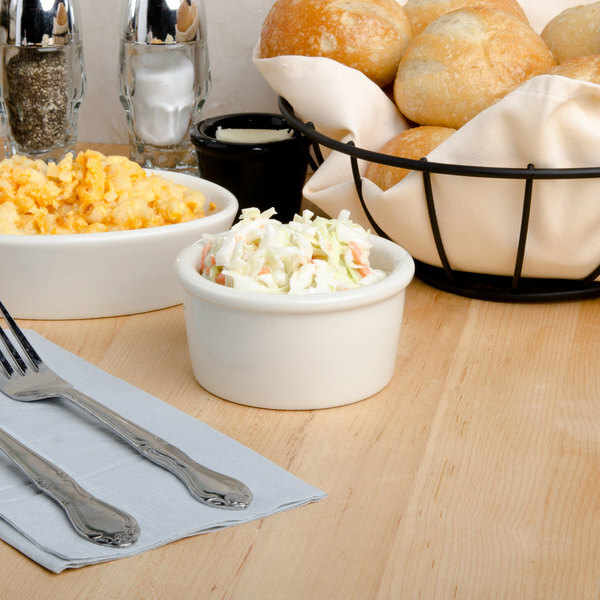 Use it at your restaurant or institution, or in any other commercial foodservice application. 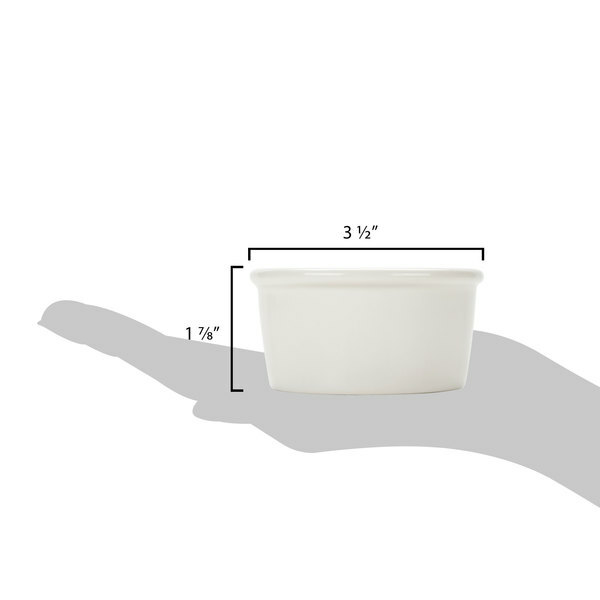 It's great for oven-to-table service of your signature sides or pre-fill it with salad dressings, deli salads, and other popular items for fast, efficient service during your busiest hours.